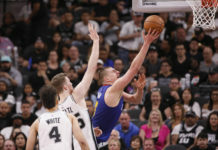 Neither of them will play on Friday night against the San Antonio Spurs, but that does not change the excitement that is surrounding their return to the hardwood. 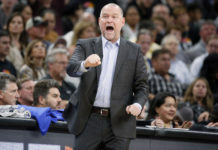 The Nuggets have been staying afloat without them, but there is no doubting how much more dangerous of a team Denver is with both in the fold. After practice on Thursday, both Harris and Millsap spoke to the media for the first time since their respective injuries and explained where they are in their rehabilitation process. Of all six Nuggets players who are hurt, Harris seems to be on track to be the first to return to the hardwood. Harris — who originally sustained his ambiguous right hip injury on December 3rd against the Toronto Raptors — has been out for 23 days. His original timetable was set as 3-to-4 weeks and he seems to be on track to return within that window. Even better than the fact that Harris has actually progressed throughout his rehabilitation process quicker than expected. Now, Harris is in the experimentation phase. He is ramping up the amount of work he is putting in so that the Nuggets training staff can monitor how his body reacts to the increased workload. On Thursday, Harris went through his first full-court scrimmage with contact. 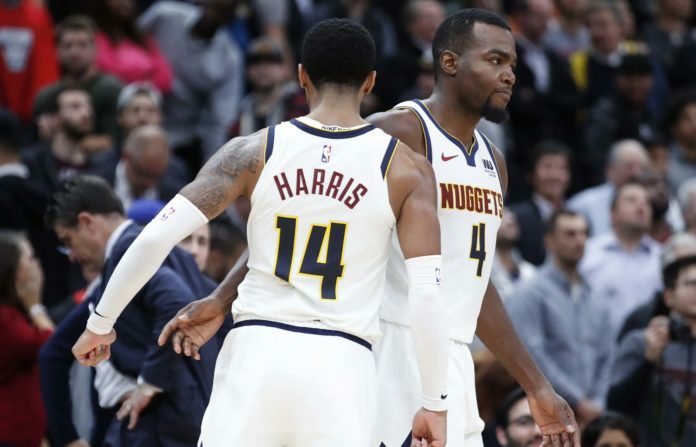 Regardless of how fast Harris has progressed and how badly Denver needs him back, the goal is still much more so about getting him back to 100 percent healthy instead of rushing him back onto the floor. Now, Harris is keeping his sights on the future. 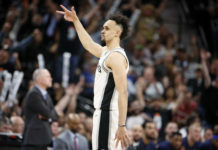 He is very much so ready to get back on the floor with his teammates instead of, as he put it, being “isolated” as he continues to work his way back from his hip injury. There is still no official date for when Harris will return for the Nuggets, but all signs point to him being back within the next week. Harris seems like he will be the first player to return from injury for the Nuggets, but that does not mean that he is the only player nearing a return to the floor. Millsap — who broke his big toe on his right foot back on December 7th against the Charlotte Hornets — originally had a 4-to-6 week recovery time, which would have placed his return date sometime between January 4th and January 18th. Surprisingly — on Thursday, December 27th — Millsap went through his first scrimmage since breaking his toe. He has already been cleared to return to practice with contact and seems to be progressing quicker than originally anticipated. After his first practice, Millsap spoke to the media about how wonderful it felt to be back playing basketball again. Even though Millsap seems to be ahead of schedule, there are still some obstacles he needs to overcome to make his long awaited return. First off, Millsap needs to feel comfortable playing again. Secondly, as it usually the case with broken toes, the toughest part will be managing the pain Millsap will be feeling. Just like Harris, Millsap’s main focus is coming back completely healthy; especially after he rushed himself back last year after having to get his wrist surgically repaired. Millsap feels no rush to return early this time around. The most important step remaining for Millsap is seeing how his body responds to the increased workload he has put on his injured toe. If is body responds well, Millsap will be well on his way to returning sooner than anticipated.